SAN DIEGO, California - The sun is starting to shine, the snow and ice is melting and spring is starting to peek its head around the corner. With temperatures rising and waterways defrosting into lakes and rivers again, it’s time to start getting geared up and ready to get back on the water and out of the winter hibernation. 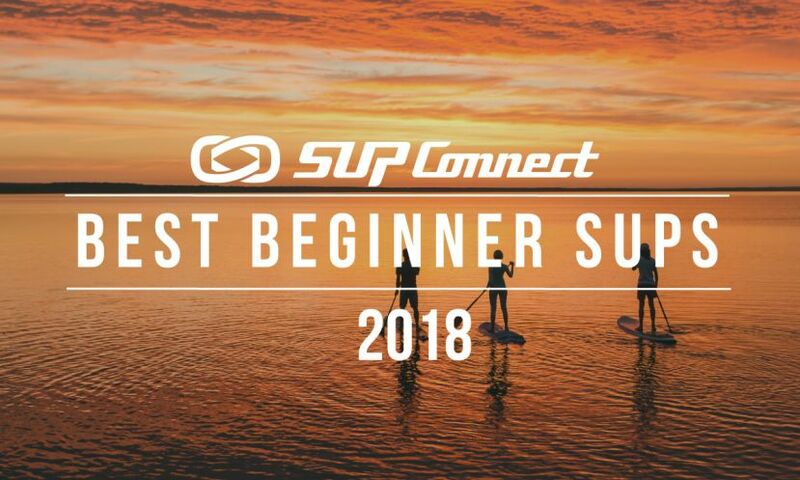 Here, we’ve put together a list of SUP gear, SUP accessories, SUP boards and all the must have's for everyone from a beginner to the advanced SUP'er for the 2016 Spring SUP season, so there's sure to be something in this guide for everyone! The Travelink™ system was designed to get you to your paddling spot more easily, comfortably and without 'dead arm' syndrome. By simply clicking in the Travelink™ adjustable carry strap to the latch points in the rail of the board, you remove all weight from your hands and carry the board more safely and ergonomically with your shoulders and back. Why would a paddle designed for race, or versatile use be expected to perform at a high level in the surf? As SUP surfers we need to start thinking, not just about the right board for the conditions but our paddle as well. After months in the R&D room and on the water, we enter the new age of the Rip Stick with a slew of innovative designs to excel in the lineup. Fast forward to the innovative 12 degree blade to shaft offset of the Grand Prix, designed from the ground up for race. Handcrafted attention to detail means optimized flex, the widest range of fit options, including 3 blade sizes and 3 shaft options, and sub 15 ounce weights. Versatile use means go for a fitness paddle, on an adventure, find a protected area for yoga or carve up your local surf spot. The Zen 85 and Zen 95 have the perfect 10 degree blade to shaft offset to round performance out for all applications. Carbon shaft, fiberglass blade and amazing new HD Graphics give the Zen a lot to be excited about at a modest sub $220 price. The FCS II SUP Touring Fin is an affordable fin ideal for flat water exploration on lakes and waterways. The fin offers dual purpose in both race and surf and has a streamlined design for increased maneuverability, seamless leading edge to quickly shed weed and a responsive glass flex construction. More importantly these fins are tool less with any US box and most other longboard style fin boxes as well. When added to a board with FCS ll, the whole board becomes tool less allowing it to be set up in seconds. It's finally time for a spring picnic! The 100% waterproof Cool Cat Cooler Bag is the perfect addition to your day on the water. Use it as a cooler, padded camera case, reusable grocery bag, picnic basket, or multi-purpose protective dry bag. Think ‘beers on the beach, snack in the car, or picnic on the fly’. This bag holds approx 18 cans with ice, or even a hot lunch for 4-6 people. Sunglasses with polarized lenses can get pretty expensive so when you loose a pair to the bottom of the ocean, lake or river, it is usually a big bummer. Thankfully, Rheos sunglasses are affordable sunglasses with polarized lenses to protect your eyes and (here's the kicker) they float!! No more losing your sunnies when they fall in the water! They float, they're very lightweight and fit comfortably, making these sunglasses the perfect item for that fresh spring sunshine. The shorty spring suit is designed to maximize comfort and range of motion, featuring flexible UPF50+ sun-protective neoprene, chafe-free flatlock seams, and a soft, non-constricting neck band to prevent skin irritation. This suit will keep you warm and comfortable while surfing, stand-up paddling, swimming and snorkeling. The SHUBU X Rocket, is Boardworks’ new fitness, racing, and all-around inflatable touring SUP. Based off their Eradicator race boards, the X Rocket has a sleek outline with added width in the mid and tail section for extra stability. 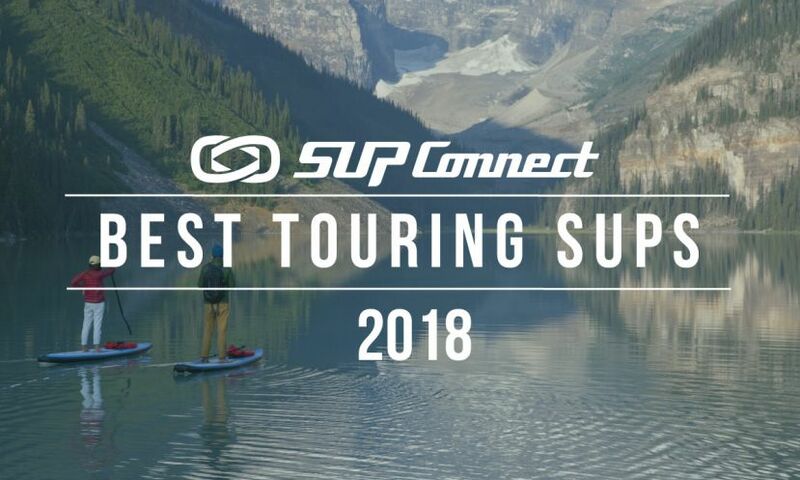 This is a great choice for those looking for a fast, stable, go-anywhere race trainer or fitness/touring SUP with premium features. Some of the features include: Extra side handles for easy cross country portage, AIR7 fin box that is compatible with standard longboard fins and touring fins and more! 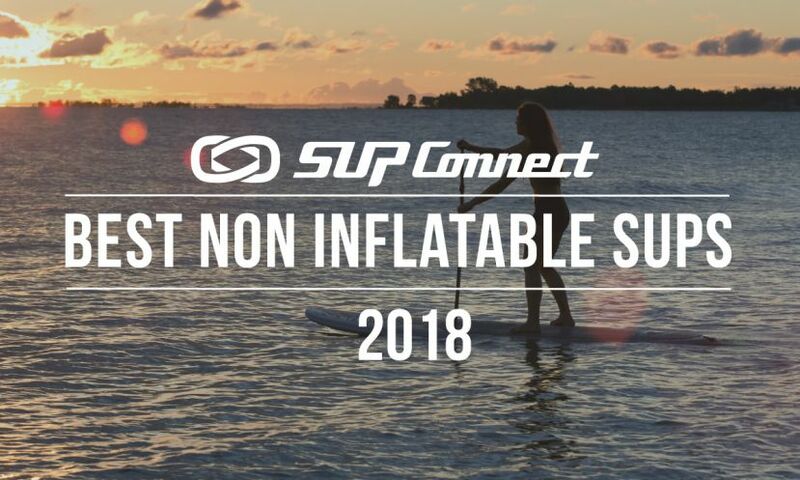 The Muse Inflatable SUP from Boardworks is a SUP designed specifically for women. This board features unique, inspiring graphics and is constructed with new lightweight, ultra stiff 5″ thick drop-stitch material making it easy to carry and transport. 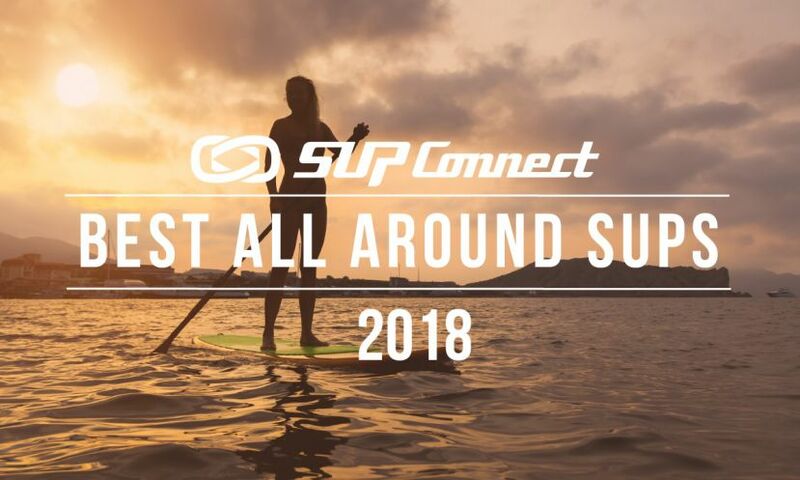 At 10’2″ long and 31″ wide, the Muse is a great all-around cruising and fitness board that works great for SUP yoga as well. Red Paddle Co. Sport 12'6"
The 12’6” Sport has been designed for the more experienced paddler to deliver more speed and dynamic performance (although they’re not race boards). Their secret lies in their shape. They’re narrower than a Ride, so they cut through the water more cleanly, and the drawn-out nose section gives them more glide across the water. The 12’6” is more suited to longer touring trips and/or the larger rider. 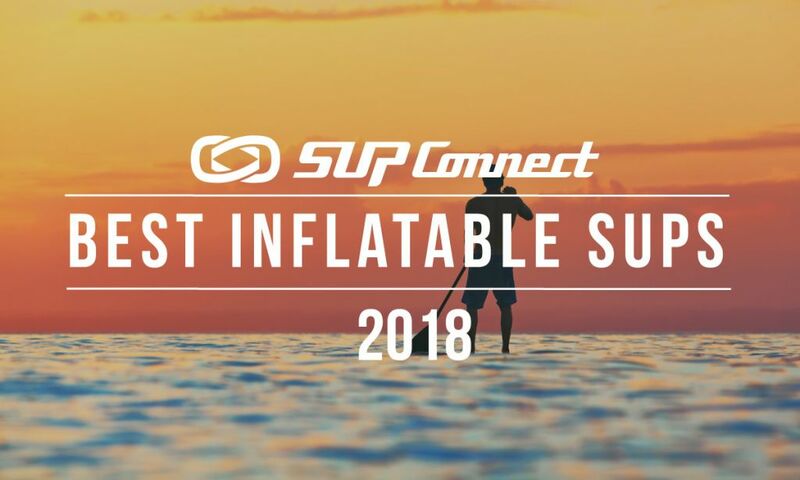 The 2016 Crossbreed Airtech from Slingshot is a lightweight, safe, impact-resistant, high-performance, versatile inflatable SUP that is great for you and your family. The board comes quipped with a full deck EVA traction pad, bow and aft storage bungees, bow and stern anchor/tow rings, dual action speed pump, pressure gauge, backpack storage bag, repair kit, and a 9” keyless removable fin - plus a 2 year warranty against manufacture defects! The Kraken 12’6″ is an excellent touring, fitness and recreational racing SUP. It has the same sleek design features as the ultra fast Eradicator racing SUPs with added width for more stability. The Kraken features a beautiful wood veneer with striking nautical graphics, a comfortable croc skin EVA traction pad, deck tie down plugs for transporting gear and much more! The All Star has a straight and slender outline for optimum glide, control and stability. The All Star features a triple concave bottom for speed, stability and control, a recessed deck pad increases comfort and stability, and a slight tray for more stability to ride a narrower board. The All Star’s downwind oriented profile provides increased sensitivity for catching bumps. The 12’6” Elite Touring SUP from Starboard is fast, stable and easy to paddle for riders up to 100kg. With a slimmer design and easier control for 2016, the Elite Touring board is multi-functional for cruising over distance. This board is equipped with two bungee tie-downs to carry extra gear and four FCS inserts for installing camera and GPS. The shorter 9’5” Whopper is a ‘slighter’ version of the legendary Whopper that is easier to turn, more maneuverable on the wave and a lot of fun. At 4.4“ thick, 166 Liters and 33” wide the Whopper provides stability and float for riders up to 110 kg. In addition, the shorter length makes it easy for all riders to carry and transport. The FX-14.0 is the next chapter in the award winning SIC race series. The FX builds on those fast water lines from their X Series with more bow volume, a more forgiving rocker, a flattened out deck and a more forgiving and stabilizing bottom section. The end result is the FX, the fastest, most versatile race board on the planet. The SIC Flow 10.6 provides unrivaled stability and performance for the beginner to advanced paddler. This board features a high quality, high density EVA wrapped deck and rails to protect the paddler as well as the board. The board is finished off with a layer of InnegraTM on the bot- tom and rails for added durability. Don't call it a comeback! The SIC Maui Carve returns in 2016 for its sophomore release. Back by popular demand, this shredder is geared up for getting down with larger conditions. While the tail is pulled in like the SIC Bully, the reduced volume and smaller width make this the go to for long drawn out carves on the face of the wave and a good bite when things get sizeable. Not for the feint of heart, the Carve is all performance surf. Feed your need for speed with the all-new BARK Vapor. Designed by Joe Bark in collaboration with the world’s best paddlers, the Vapor brings together an entirely new outline, rocker and foil to create a board that is fast, stable and serious in a variety or racing conditions. Combining the best of both displacement and floatation design, its minimalist outline curves, decreased rocker and all-new nose design gives it fluid entry and glide to maximize the speed of every stroke. Surftech Bark Contender Lite Pro-Elite Blue 12'6"
The new BARK Contender Lite Blue is a reflection of the shift in design towards lower-volume, narrower boards using the same race proven outline of the original Contender. It’s wrapped in blue, grey and white racing stripes and is the perfect choice for the paddler looking for that magic, lower-volume 12’6" board to support them in a variety of conditions. NSP DC Ocean Race Pro Carbon 14'0"
This board was a board that was designed to be raced in small ocean conditions thru to flat water. Drawing inspiration from outrigger canoes designers reduced the width, added roll in the bottom and lowered the deck. The result is a low center of gravity and bullet like performance through the water. Travis Grant rides the 14’x24.5” Pro Carbon model, which has won in numerous races dating back to the 2013 Battle of the Paddle distance race, and more recently the Carolina Cup in 2015. For 2016, the design has been further refined – and proven, with a win by Travis in the Cline Mann race in Hawaii. The Glide 12’6” X30 GTW is the ideal choice for riders of any level who want increased stability for touring, enjoying downwind ocean runs, recreational racing and fitness training. Its newly developed rocker and bottom shape easily adapt to flatwater conditions while the tail rocker still allows for outstanding open ocean performance. The 12’6” is incredibly fast and easier to maneuver and carry when compared to performance race boards. It features a penetrating V nose and a flat rocker for phenomenal gliding performance and has ample thickness and width for stability and early planing on the open ocean in any conditions. Cast comfortably in flat water from an SUP with superior stability. The Flow 116 Angler's damage-resistant Ram-X™ construction offers exceptional durability. Featuring a Scotty's rod holder, tour and explore local waterways with relative ease and find that big one you've looking for. The Big EZ Ricochet is the ideal solution for a punishing environment. Ricochet is a new impact-resistant technology designed to armor boards from rocks, paddles, and striking blows. Years in the making, the specially formulated membrane is integrated into the fiberglass construction of the board. The result of this technique is a lightweight, traditionally finished board, that’s tough as nails. Make sure to head to your local retailer to find all these items and more during this spring season!